This year has already been a whirlwind of emotions and activities. With my son’s wedding just a few months ago, and now my daughter’s wedding is coming up, life has sure been busy. Who knew that both of my children would decide to get married, one right after the other? I’m extremely happy and I feel so blessed that our little family is growing by two. I could not have handpicked better spouses for each of them although I would have gladly done so if they asked! My daughter is a teacher who is also teaching summer school. She and I have been working together whenever we can to organize and coordinate her upcoming wedding. For those who have done it, you know how many decisions, details, and diplomatic conversations it requires. Her bridal shower was earlier in the month. I chose a fiesta theme and it turned out great. Now it’s time to get ready to have some of our out of town guests stay with us for the wedding plus I’m also hosting a party at my home for about 40 people. I wanted his friends and family to get to know ours a bit before the big day. All of the months of decision making is coming to a head and I’m feeling a bit stressed. I know my daughter is too, but we are also so excited. What has fallen through the cracks this summer was a little bit of “me time.” I enjoy going to the beach, road trips, summer outdoor concerts, and we usually take a vacation. Truthfully, I’ve put most of that on the backburner, but I know this special season will pass quickly. It’s been emotional for me too as I think about my baby getting married, so I’ve been happy to stay busy. I was stocking up at Ralph’s market for my upcoming houseguests and out of the corner of my eye, the new Real Simple August issue caught my eye. 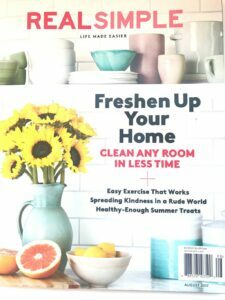 “Freshen Up Your Home – Clean Any Room In Less Time” was on the cover. Speed cleaning tips are what I need right now! Without hesitation, I grabbed it and put it on the checkout belt. 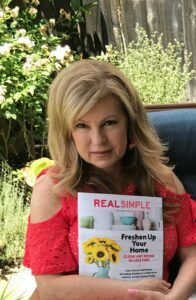 Real Simple is my go-to magazine to get inspired, find new ideas, recipes, healthy living and easier ways to do the things that we need to do. It’s a magazine that speaks to the topics that interest me; beauty, lifestyle, outdoor entertaining, tips, saving money and more. I know my readers are interested in those same topics. My regular readers know that we have a new baby in the house. We adopted Buddy from a rescue group when it became apparent that our little girl was going to fly out of the nest. He is my constant companion and has brought boundless love and laughter to both me and my husband. We are smitten with him. I don’t know about you, but just taking a break with a favorite magazine is a little ‘mini-vacation’ and a chance to recharge my batteries and be good to myself. It’s the #SummerMeTime we all deserve. Save on your purchase of PEOPLE, Real Simple August issue, Southern Living August issue, or PEOPLE Princess Diana: Twenty Years Later. I bought my issue at Ralph’s. 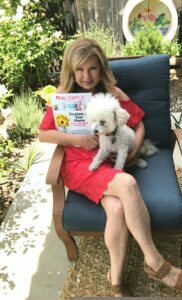 You can pick up your issues at your local Kroger, Bakers, City Market, Dillons, Food 4 Less, Fred Meyer, Fry’s Food & Drug, Gerbes, Jay C, King Soopers, Owens, Pay Less, QFC, Ralph’s or Smith’s location and enjoy some Summer Me Time too! I love Real Simple! It’s one of the few women’s mags (besides food mags, love those too!) that don’t have all kinds of awkward images and articles that I don’t want my kids to stumble upon. Love their cleaning and organizing advice and the peeks inside homes always give me good ideas for decor. Wow, two weddings back to back! And I love Real Simple. They have the best tips. I love getting some me time and relaxing with a good read. I also just adopted a little puppy and she is my constant companion. She loves to snuggle up to me when I am reading or messing around on my phone. We have become quite close and it is a constant battle for her attention around here among my daughter and husband as well. It is nice to have this much love around our home. Congrats to your kids for their wedding! Must be such a lovely feeling. “Me Time” is always the best time. We all need a little bit of that every now and then. Congrats on the new addition to your family as well. Hope you have tons of fun together! A wedding in the family is indeed a time of great excitement. When it is your daughter who is getting married, the emotions are on a different level altogether, you are happy and excited, but these feelings are tinged with a sadness also. Sadness of a chapter of life getting over. Buddy looks so cute and I am sure he is going to be loved and love back and enjoy life in your house. Congratulations to your growing family!! And thanks for sharing your coupon! I can’t wait to get one! Congratulations on the weddings of the two of your children. As a parent, I can understand why I would only hope that my daughter would find someone who is worth her time. I love the new addition to your family as well. That’s great that you did rescue for that. Having your children married one right after the other is a blessing. I just got married and my mom was both sad and happy. She keeps on repeating that she’s missing me and always asks us (me and my now-husband) to sleep at their home! Real Simple is a great magazine. We also read its localized version and get ideas when it comes to design, lifestyle, organization, etc. Congratulations to the newlyweds! What a wonderful time for you and your children. 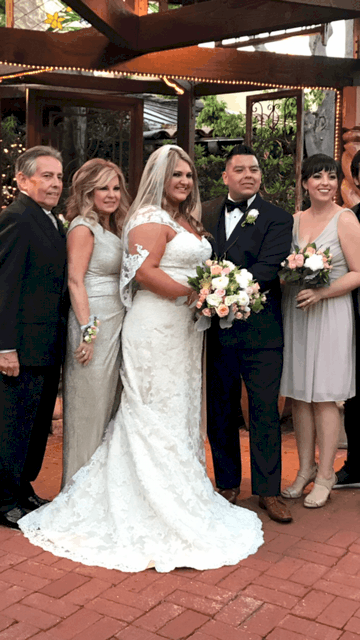 This summer really is all about weddings – I’ve attended so many! 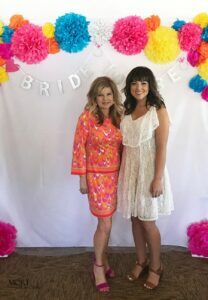 I love the fact that you threw your daughter a fiesta-themed bridal shower – how cute!